I have had so much fun putting together top 10 list this week. Some of the items on the list have been funny and others have made me pause to think. Today's list was suggested by one of my Arkansas sisters. Let's see if you can relate or maybe you can share a few excuses given to you on why people don't attend church regularly. *"My children play ball on Sunday." "I play golf." "We go to the lake, etc." Hmm, let's see. There is always Saturday to do these activities. set up for the game night party." Okay??? Southern Living or Better Homes and Gardens. all week." Seriously! You are the parent! going to accept those excuses one day. *"Our alarm didn't go off." Hmm, it works fine during the week. *I didn't have anything to wear." Hmm, what do you wear during the work week? followers, you will spend eternity together, so get over it. I may be a little sarcastic in my responses but when these excuses are given, it is really how I would love to respond back to them. Instead I smile and say, "Well, I will see you next Sunday." Now it is your turn to share some excuses given to you. Top 10 Sweetest Things Church Members Have Done for You. Over the years my family has been blessed in many ways by our church family. Girlfriends, I think everyone of us can recall small blessings bestowed on us. As I was preparing this Top 10 list, I smiled at the simple ways people have poured in to our lives. entire house to be painted and in the color I picked out!!! balance for my trip and the secretary told me to have a great day. The balance was paid!! *Tell my husband what a gifted preacher he is and how his ministry has changed their life. What a huge blessing that is! friends immediately upon arriving at our new ministry location. churches became adopted grandfathers to them. What a treasure these men were in my sons' lives. small gesture but this chocoholic smiled through her tears. living in Texas. These folks know how to feed you! lives are so stressful that this small gesture brightens our day. Girlfriends, what are some of the sweetest things church members have done for you? Part of ministry life is living in a parsonage. You that special place that you call home. A parsonage is delightfully decorated by someone who does not have your taste. As the months and years go by of living in with home, you begin to redecorate mentally. You make your wish list of things you would love to do the parsonage-the wowing wall color, fine flooring, the kitchen creation that is the envy of all your friends, etc. Alas, you never get the chance to put your dreams in place in a parsonage. Well, today you get the chance to share your ideas for what you wish you could do to the parsonage. I am sharing my top 10 ideas first. *Tear out the old, nasty, gross multicolor shag carpet. Would you want your baby crawling in filth? *Tear out the yellowed, aged linoleum that has mold growing under it. Can we say health hazard! *Remodel the dated 1960s kitchen. *Strip off the wallpaper. Seriously, I have had bold paisley, brown fussy butterflies, big bright yellow flocked roses, ugly orange and brown stripes, and country blue hearts with chickens. I firmly believe the ladies of the church get together and each decorate a room in their personal taste. *Repaint the entire house in a pleasing neutral color that would fit wife's taste. No pink walls please! paneling on the walls. Those rooms happened to be bedrooms. WHY!! humid hot air coming in to the house. Also, we have lived in a home with very little insultation. Our heating and cooling bills for a month were almost our entire pay check. years because many families have severe allergies. They should also be checked for mold hazards. real health issue for many families. best to make it our own. Let me hear your ideas for what you wish you could do to the parsonage. The Grand Canyon is an awesome masterpiece of God. The beautiful blend of vibrant colors, the breathtaking views, and the seemingly endless miles of massive, chiseled stone are a wonder to behold…..and one day I would love to go there! This is a dream vacation that I have wanted for quite some time. Of course, there are many other places in the world that are equally impressive, and some may contend that several other destinations are even more fascinating than the Grand Canyon, but for the past few years, this has been tops on my list of places to visit. Just the thought of getting away and soaking up the beauty of God’s creation brings a smile to my face. What about you? What is the most desirable place on earth you would like to visit? Or perhaps you have visited your dream destination….where did you go? I would like to hear from you. 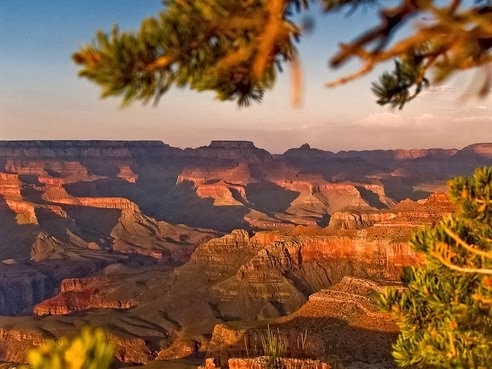 But even if I never set foot on the rim of that vast Canyon in Arizona, I have a destination awaiting me that makes the most thrilling place on earth pale in comparison…it is Heaven!! Congratulations to the Vinson Family!! Eliza Joy Vinson entered the world last evening at 10:00. She weighed 7lbs, 12 oz. and 20.5 inches long. Wally and Tara are the proud parents and Riley and Piper the big sisters. We look forward to starting a new journey with Tara as she blogs about the addition to her family. Congratulation, Tara, we love you and look forward to some pictures. Parenting can be a whirlwind at times! Whew! My husband and I are in the midst of raising two daughters—a 17 year old and a 12 year old tween (who in 3 short months will turn 13). With the raising of teens, I know that some of you are in the same boat with me, some have yet to sail this boat, and others have been out of the boat for a while. Life is busy to say the least; homeschooling the youngest (I shared about coming to that decision in last month’s blog) and preparing the oldest to launch out into life on her own. We love our girls dearly, but parenting certainly has its challenges. If it were not for the peace of Christ I would have become discouraged a long time ago. Can any of you relate? With a senior in high school, the college prep process is in full swing. Applications, enrollment fees, transcripts, ACT/SAT exams, essays, recommendations, financial aid forms, and deadlines are all part of the hectic college journey, as I am sure many of you already know. And just as we have been preparing our first-born for college, I am reminded of a spiritual reality...that we as daughters of God also have a preparation process. Of course, the very first and most important part of God’s process is salvation. He has saved us for a purpose. He has prepared us to be wives, and those of us who are pastor’s/minister’s wives have been through a preparation process that is unique to our role. We serve and support in a way that ministers to our husbands and to the wonderful families that are in our various churches. He has prepared us to be parents; we are called to raise our children “in the training and instruction of the Lord.” Ephesians 6:4 We are to model Christ before them with the Lord’s help, since we are by no means perfect and we do make mistakes. Yet what a blessing it is to pass along our legacy of faith to the next generation; and for those of you sisters who are grandparents, you have a third generation of tender souls to share Christ with. We are prepared to be caregivers; many of you have elderly loved ones who totally depend on you for all of their needs. You certainly cannot serve in that capacity unless the Lord prepares and strengthens you. We are prepared to be lights in our world, whether on jobs, in neighborhoods, or others facets of the community; we are to be the light of the world and the salt of the earth. Matthew 5:13-16 We are only able to accomplish these tasks through the Spirit who empowers and prepares us for all the roles that we live out day after day. Praise God for the Holy Spirit! So, when we take our daughter off to school around this time next year, prayerfully she will have been prepared. She can settle into her dorm room and into her new schedule knowing that the preparation process is complete. I am also praying that the Lord will prepare my heart to let her go! One day as we see our Master’s face and settle into our heavenly home, may we all hear Him say “well done”, knowing that we have been prepared by His grace to spend a glorious eternity with Him. Only 103 Days Until Christmas.....have you started shopping yet? I usually like to start early, but so far it has only been a thought. I have NOTHING bought and NO IDEAS. I mean....it is still APPLE TIME and I am not ready for all of the HALLOWEEN stuff, much less the THANKSGIVING stuff and CHRISTMAS stuff. What happened to taking one day at a time? I mean, by the time I get in the spirit and decide to shop....they will be having "clearance sales" and getting ready for Easter. It seems as if we are always trying to RUSH our lives away. Let's slow down....and enjoy. However...............everyone, everywhere are anxiously awaiting the arrival of Christmas. Sure wish folks got as excited and made as many preparations for the arrival of Christ. BTW....the picture is of our grand-dogs.....Fanny & Lady Bird from a few Christmas' ago. 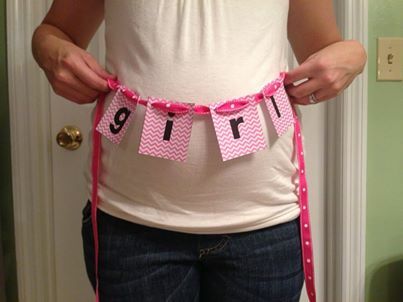 Baby Cameron is going to have a little sister in February. They will be 14 months apart so pray for them. We are super excited!!! We LOVE having a grandson, Cameron and now we get to experience the joys of a granddaughter. FYI....Our daughter is a HUGH Alabama FAN....notice the Alabama bib. Our son-in-law is a HUGH Florida FAN....notice the gator. The babysitter is a Vols FAN........I think the she may have converted our grandson. He LOVES "Rocky Top". Not sure at the age if he will even like football....but he sure does appreciate the bluegrass music. We have told them since he was born that he would probably be a Vols fan because he would not be able to choose between mom and dad. Labor Day weekend, we had our annual Family Reunion on my mother's side of the family. One of my younger cousins was talking about how sad and depressed she was because her youngest was graduating from high school this year. Later, I got to pondering on her sadness....and thinking about, quite a few years ago, when I was facing the same thing. In fact, the first weekend of May 2007, our daughter graduated from college. The second weekend of May 2007, our son graduated from high school. And, the third weekend of May 2007, our daughter got married. WHEWWWW. What a BUSY month. I LOVED when my two children were babies. Nothing like the smell of baby lotion and the chubby little hugs. I LOVED when my two children were school age and learning and growing every day. I LOVED when they both played sports and every minute was spent carpooling them to and fro. I LOVED when they were both playing instruments in the high school band. I LOVED when they both playing high school ball. I LOVED when they became young adults and were in college. I LOVED when they both got married and started their own homes. I remember when our daughter was moving away to college and we were both crying. She said, "Mom, it will never be the same again." It broke my heart. BUT....she was right.....it was never the same again. We had begun a new stage of life. We did not lose our children when they got married.......we gained another son and daughter. I guess I am writing all of this just to say.......things WILL CHANGE. Don't waste your time dwelling on the PAST......enjoy NOW and look forward to the FUTURE. I will NEVER understand how ANYONE, much less a Mother can sit back and allow someone to brutally abuse and murder your child. This is what our county has been dealing with all week. A week ago Friday, the police were called to a home, where a 5 year old boy had died. It was apparent that he had been abused for several days and had lain on the cot, dying for 2 or 3 days. The mother and the boyfriend were arrested for first degree murder and child abuse. There were two younger siblings in the house and they had been abused also. We live in a tight-knit county and everyone is pulling together trying to help with the funeral costs and trying to help with items for the remaining sisters. Of course, everyone is wondering how THEY could have helped. Was there any signs? How can things like this happen in our backdoor without us knowing it? The detective said that this is the worst case of child abuse that they have ever investigated in Rhea County. This is just another sign of the end of times. As citizens, as teachers, and as churches.........we are REQUIRED by LAW to keep our eyes OPEN and REPORT ANY SUSPICIONS. Many times we are guilty of trying to ignore things to keep from getting involved.........but we need to STOP. Please keep your eyes open, your ears open, your hearts open and report ANYTHING suspicious. It is better to be safe than sorry. It's Football Time in TN! Growing up, my dad always watched sports and followed a couple of teams, but I never would have called him a die-hard fan on any one team. But when I married my main man, I knew that I had married a Vols fan. Wally is really great about how he follows his team. He wants the football team to win, but doesn't allow the athletic performance of a bunch of 18-22 boys dictate his mood or shape his whole weekend. He does read the blogs and knows the players' names, but he doesn't worship University of Tennessee football. Right now, the game is on and Neland Stadium is packed. Fans came dressed in their finest orange and regularly break into the song, "Rocky Top." The players are cheered and jeered as they run, tackle, pass, and score. Without a doubt, most of those in attendance would proudly own the fact that they do worship UT Football. Sports and teams and athletes of all sizes, ages and locations become idols of various importance to even Christians all over the world. This probably doesn't surprise anyone. God created us to worship. We easily become emotionally invested and soon find ourselves worshipping the creation instead of the Creator. For us ladies, we may or not be so drawn into the temptation to worship a team or an athlete as an idol, but we do need to guard our hearts and not let Satan sneak in and make us trip up over something that started as a little innocent fun. Whether it is a tv show, a book series or an actor, our idols can start small and then their influence over us can slowly but surely, gain momentum in such a way that we don't even realize the influence that they have over us. My prayer is that God will guard my heart and mind in Christ Jesus and that He will reveal any offensive ways in me and lead me into the way everlasting. How do you seek the Spirit's revelation of the idols in your life? Do you ever feel like if you can just get through the next thing then you will be ready? I feel like this whole pregnancy of mine has been like that. It is as if I haven't marked it by how many weeks or months along I am, but by the next focused event on my calendar. Through the summer, it was VBS, then camp, then a wedding shower I was helping to throw in Ohio. By August, it was the start of school, the start of work, piano lessons and then the wedding to go with the shower. Now that September is upon us, I am waiting for my friend's consignment sale (I have a ton of items to sell! ), for dance lessons to begin and a nursery to put together. Then, I will be ready . . . or so I think, I will. God has been so graciously good to me not to overlap these things that I have commitments to and responsibilities for. However, I do realize that He has the right and the authority to change my plans at any time. My third baby really could come any day now, whether the crib has been assembled or not. With this pregnancy, God has been gently reminding me on a regular basis that He is in control, not me. The "just one more" thing I want to accomplish or see through may not happen, but He has this. He knows my days. He is in control . . .
How has God reminded you lately that He is in control?